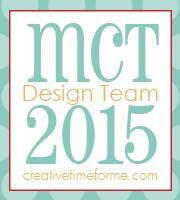 Welcome to My Creative Time's 58th Edition release blog hop! If you have arrived from the super talented Nikki's blog, then you are on the right track. If you would like to start at the beginning, Click here. Today's treat was made with the Milk Carton Die. Once I got it cut out, I stamped it with the small candy corn stamp and cut out the window with the large candy corn die from the new Candy Corn Kisses set. The tags are from the Fun Stitched Tag Dies and Mini Chalkboard Tags Stamp Set. The sentiment is from the Piles of Smiles Stamp Set - REVISED. This SPOOKY FUN "Happy Haunting" stamp set, will be given to the FIRST 100 shoppers! If you are one of the 1st 100 shoppers it will be automatically added to your package at the time of packaging/shipping. Once 100 shoppers come through, this stamp & die set will be available for purchase. So, if it’s for sale in the store, you are not one of the 100. No exceptions will be made. This freebie set is not a part of the “bundle” and will be sold separately! 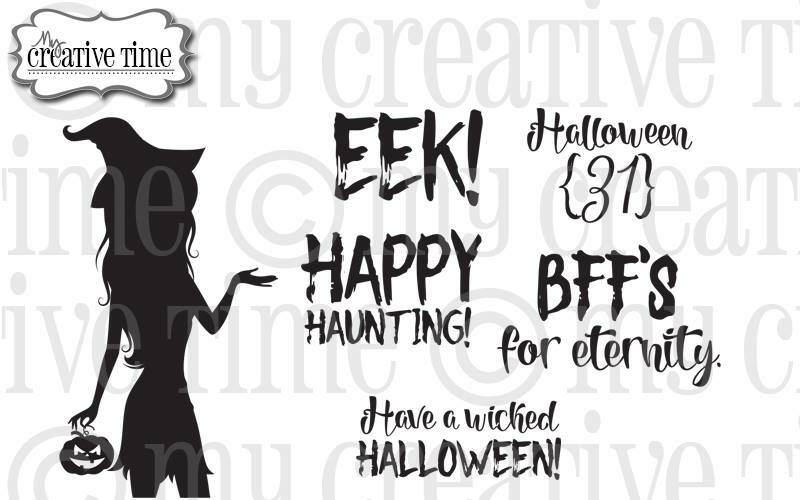 The blog hop giveaway is a $50 gift card to the "My Creative Time" store! All you have to do is leave a comment on each of our blogs! You are NOT required to comment on EVERY SINGLE blog, but the more blogs you comment on, the MORE chances you have for winning! (One comment per person please! Additional comments will be removed to make it fair for everyone.) VERY IMPORTANT, PLEASE leave a way for us to contact you w/your comment just in case "YOU" are the lucky winner! ALSO, DON'T FORGET, our sale starts right now, here! Use the code: AUGUST2016 to receive a discount off your entire purchase! This sale applies to "IN-STOCK" items ONLY. This sale will end on Friday, August 26th @midnight PST. Your next stop on the hop is Miss Audrey!!! Thanks for hopping with us today! I hope you have a wonderful weekend. SUPER LOVE my friend!!! Thank you for your AMAZING sneaky peeks this ENTIRE week! 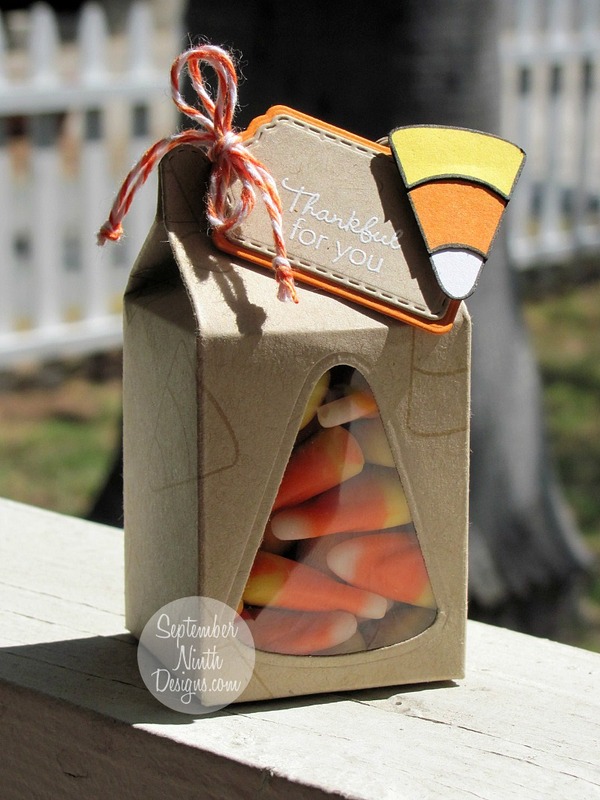 Fabulous idea to use the candy corn die to cut a window for your carton. Sweet job on your tag too. How cute is this sweet treat? Love it! What a fun treat box! Love the candy corn window! Thanks for a fun week of sneaky peek projects! what a cute Milk Carton - love it! What a fun Fall set! Very cute. Love the tag with the candy corn. OMG! I love love love your treat box! The little candie corn on the tag is so cute!!! Awesome work, that candy corn window is super super cool! So so cute! That little milk carton die is adorable! Cute treat holder and tag! Darling way to present the candy corn treats! Love this project! OMG Miss Ruthie Your Milk Carton Treat sure is Spooktacular....love how you stamped it and your tag is Faboolous...You came up with so many Wicked Awesome Ideas using Miss Emma's goodies. You are just so stinkin' clever and creative....you never cease to amaze. You so did a super outstanding job. YOU so ROCK!! So cute. Love the tag and candy. I love that candy corn window! So cute! Ruthie, this is so adorable! I love the candy corn window!!! Such a super cool and fun treat!! 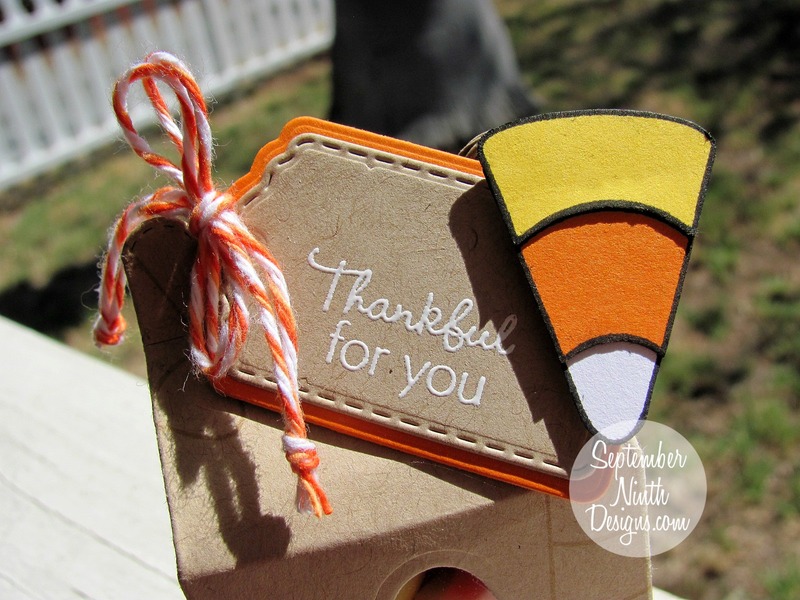 I love stamped candy corn on the treat box and super cute tag! RUTHIE!! Your candy corn treat box is absolutely spectacular! Innovative and inspired! All your showcases this week have been delights...thank you for all the smiles! Darling idea for the treat box. Ruthie ~ Well this is truly darling!!! Love the candy corn on your tag then of course the tag you used! Simply adorbs!! Fabulous job this week and always! Ms. Ruthie, I love your milk carton treat box. So cute! I just love this little window container. You dressed it up just perfectly.